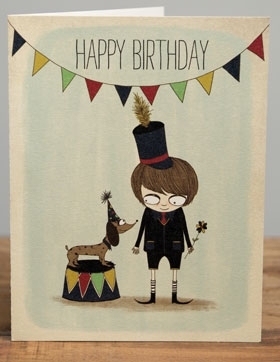 Red Cap Cards was founded in Beverly Hills, CA by Hal Mertz and illustrator, Carrie Gifford. 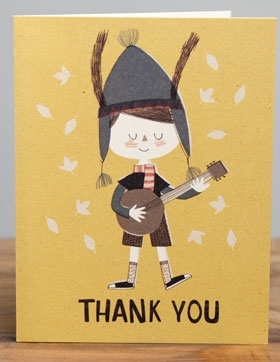 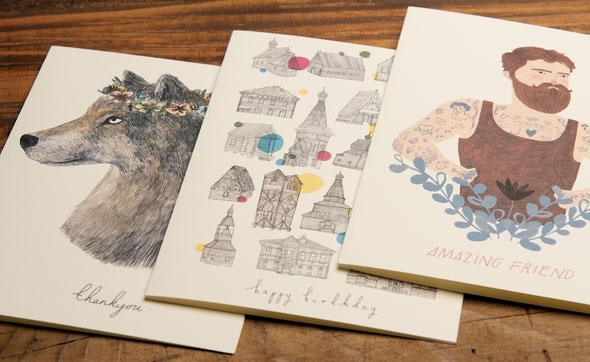 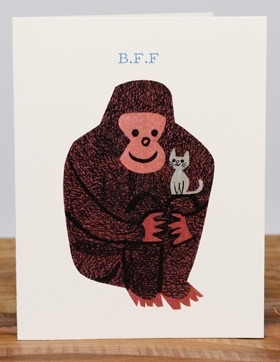 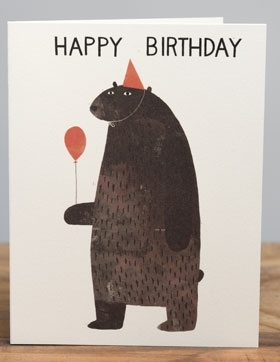 They work with a talented line-up of artists including Jon Klassen, Kate Hindley, Lizzy Stewart, Blanca Gómez, Meg Hunt and Anke Weckmann to produce a lovely and unique line of offset and letterpress paper goods. 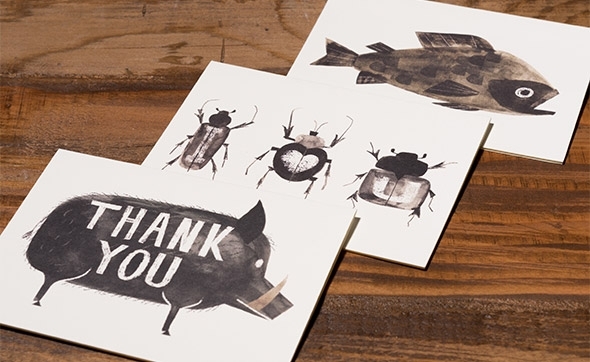 Offset printed cards are 60% tree free and 30% recycled, printed with soy inks. 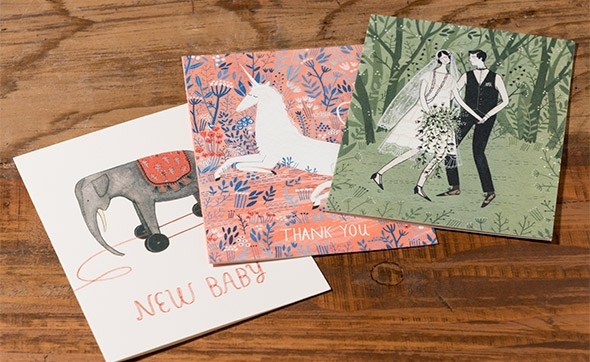 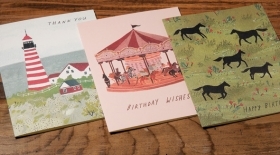 Letterpress cards are 100% tree free, printed with soy inks.